Few things better represent the power of ancient Indus cities in their time - much like subways and digital switches do modern cities - than brick drains. Five drains that could from Harappa and Mohenjo-daro show that the volume of water that flowed through these structures must have been like nothing seen before by ancient wayfarers. 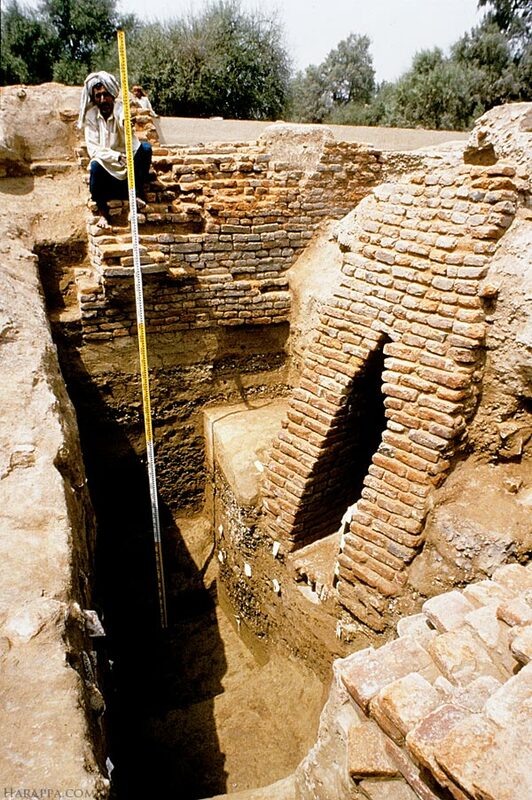 John Marshall writes: "A remarkable feature of the city of Mohenjo-daro is the very elaborate drainage system that exists even in the poorest quarters of the city. Every street and lane had one or two water-channels with brick or stone covers that could easily be lifted to remove obstructions." "In some cases the water-channels were so considerable in width that it was found impossible to bridge them by ordinary means. This difficulty was overcome by closing them with corbeled roofs." 1. Inside of the Harappa phase drain. This view along Drain  into the mound shows details of the brick construction, the robbed out area at the east end of the drain (background), sloping strata above indicating the existence of an open street drain along the same line as the earlier baked brick drain, and the later Period 3C architecture built after the open drain was filled in and the area leveled. The bricks from the eastern part of the drain were robbed by tunneling into the sediment along the line of the drain from the East. 2. Drain, Harappa. 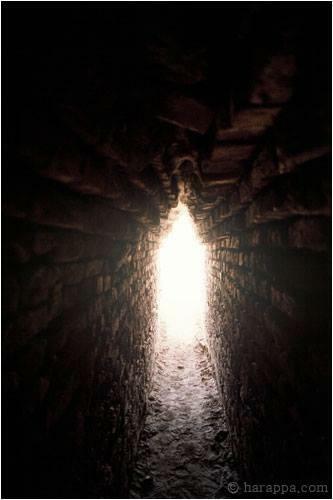 Excavated by the Harappa Archaeological Research Project in 1993, this large corbelled drain was built in the middle of an abandoned gateway at Harappa to dispose of rainwater and sewage. 3. 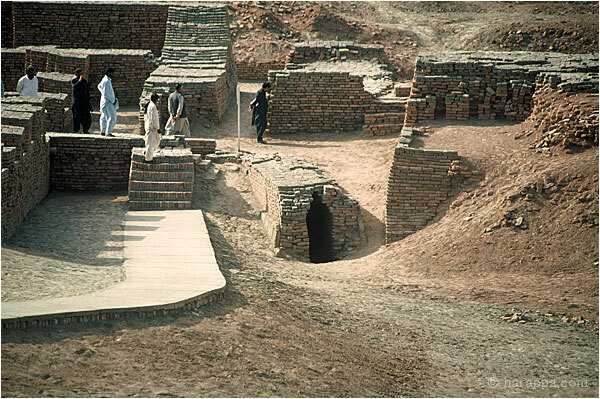 Corbelled Arch Drain, Mohenjo-daro. 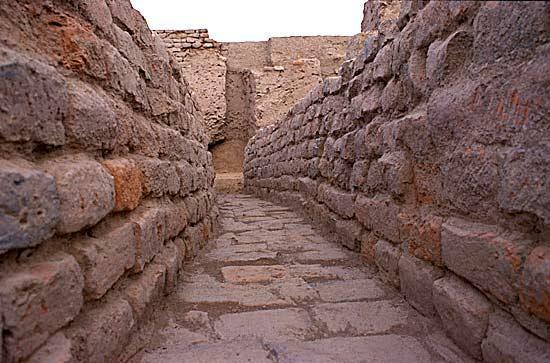 The corbelled arch drain from the great bath in Mohenjo-daro is large enough to walk into. It has a small ledge on either side of the actual drain channel. 4. Corbelled Drain exiting the Great Bath, Mohenjo-daro. his drain cuts through the edge of the so-called granary. If the entire drain were constructed along with the Great Bath, this feature would indicate that the original "granary" was built before the great bath.